If you are interested in owning a waterfront home, knowing the type of water that you’ll be viewing each day may be of interest to you. There are basically three alternatives; 1) Well water, SRP canal water, or Reclaimed water. The earlier a lake community was developed, the greater the likelihood that the lake water source could be well or SRP water. Well Water: Lake communities that use well water are older communities or inherited water rights. 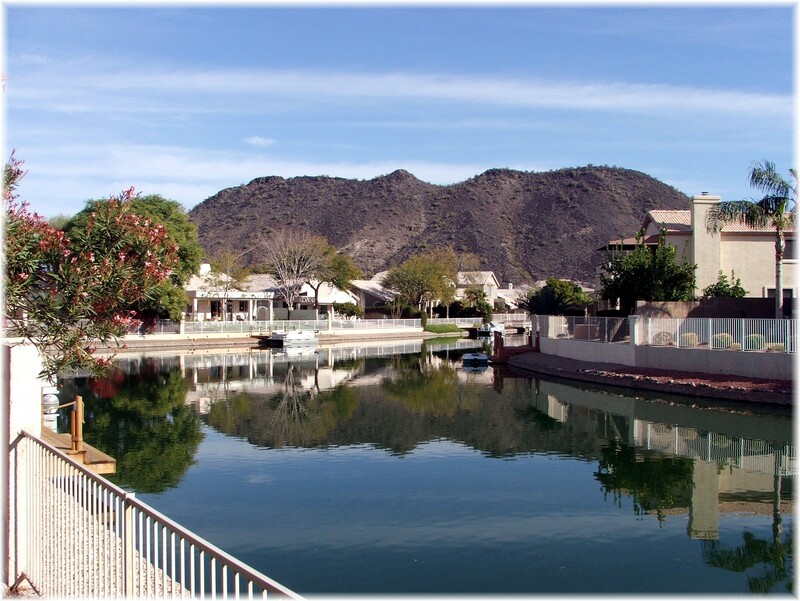 An incomplete list of lake commmunities that use well water are Leisure World in Mesa, Dawn and Viewpoint lakes in Sun City, Oakwood Lakes in Chandler, Desert Harbor in Peoria, Scottsdale Ranch, Lakewood in Ahwatukee, and valley water ski communities. An obvious difference will be the clarity of the water compared to reclaimed water lakes. If you’d like to receive listings of waterfront properties, click on receive waterfronthomes via e-mail. Be specific on the subdivision, city and area if necessary. SRP Water: The Salt River Project (SRP) conveys surface water from the Verde River and Salt River watersheds. The SRP system is composed of six dams, 1,300 miles of canals. 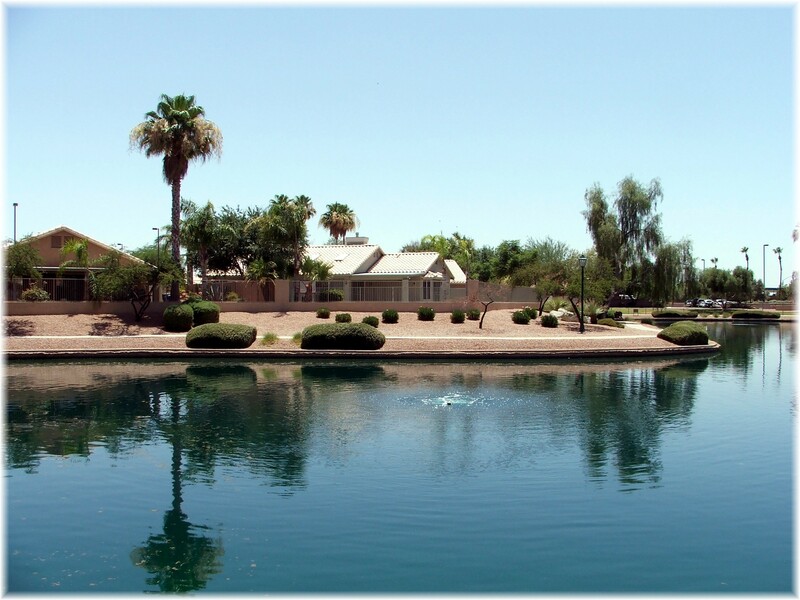 A partial list, many in Gilbert, includes Val Vista Lakes, The Islands, Stonebridge Lakes, The Lakes in Tempe, and in Chandler; The Springs and Pecos Ranch, and Garden Lakes and Crystal Gardens in Avondale. Receive the latest waterfront homes automatically, click on receive newly listed waterfronthomes via e-mail. Reclaimed Water: The most recent lake communities use reclaimed water. Chandler is one of the biggest producers of reclaimed water which is used in those communities that belong to the Ocotillo Community Association which includes 167 acres of interconnected lakes. 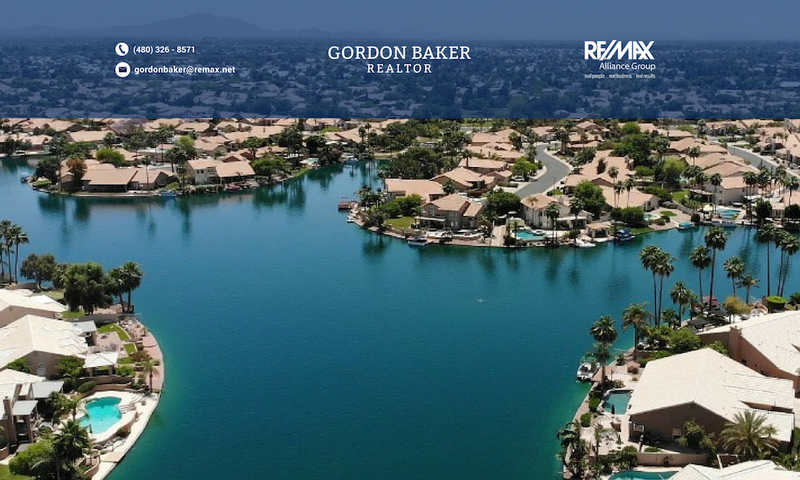 This includes such Chandler communities as Ocotillo, Ocotillo Lakes, Embarcadero, Vistas at Ocotillo, Cantabria Shores, Balboa Point and The Peninsula. Other communities include Arrowhead Ranch and Sun Lakes. If you are interested in receiving up to date homes for sale in lake communities via e-mail, click on send me waterfront homes. To confirm the type of water used in any lake community, call the HOA and ask for someone that is familiar with the community. Regardless of the water source for Phoenix area lake communities, a balanced biological ecosystem must exist for each body of water. Instead of vast amounts of chemicals, this is done naturally through the use of specific breeds of fish. Phoenix man made lakes use fish such as Israeli carp and goldfish which control grass and algae. Koi fish help control mosquitos, while catfish eat dead fish carcuss. Other fish used in balancing these biological ecosystems include blue gill, sunfish and bass. The Lakes in Tempe spends $10,000 every year stocking fish in their lakes which include bass, catfish, trout, tilapia, sunfish and bluegill according to Christine Baldanza, the community manager. Most HOA’s do allow community residents to fish in the lakes while most are catch and release. Some require a permit, some don’t. It is best to check with the community HOA for specific guidelines. Next PostNext Phoenix Fannie Mae Short Sales and Foreclosures – Are they over priced?